Lowlight Vision: Pixies can see twice as far as a race with normal vision in conditions of dim light. Luminous: A pixie naturally sheds light equal to that provided by a torch. They can control the color and intensity of the light as a swift action, reducing it to the dimness of a candle or even extinguishing its luminosity entirely if it wishes. Fey Damage Resistance: Pixies gain DR 5/cold iron. (2 RP). Bond to the Land: Pixie gain a +2 dodge bonus to AC while in the forest (or chosen terrain). Treesinger: Pixie can create objects out of wood by singing to a tree, causing it to shape itself (or part of itself) into the object in question. They gain the Craft (treesinging) skill. The skill may be used untrained but the items created will be primitive and not refined. Polymorph Self: Pixie can shapeshift 2/day. They can transform themselves into any creature from Diminutive to Medium size. The transformation lasts for their Wisdom modifier + ½ their level in rounds. The drawback is that it’s not perfect; there is always something that looks wrong. Eternal Youth: Pixies don’t age like mortals, and cannot die from old age. Upon reaching adulthood Fey can stop physical aging at any point they choose. They can look like a child, adult or wizened. Long Step: A Pixie can teleport up to 10 feet per Hit Die as a move action. It may use this ability once every 1d4 rounds. Fey Sight: Pixie are not fooled by illusions. They see through them as if they had True Seeing cast on them. This also makes them immune to the effects of glamour, and they may see the true identity of anyone they encounter, even if the individual has been polymorphed. Vanish (Su): As a swift action, a pixie can vanish for 1 round as if affected by invisibility. It can use this ability for 1 round per day per Hit Die. Fascination: Once per day, a Pixie can create a 20-foot-radius burst that causes humanoids within the aura’s range to become fascinated with the user (as the bard’s fascinate bardic performance). Affected humanoids may resist this effect by making a successful Will saving throw (DC 10 + 1/2 the user’s character level + the user’s Charisma modifier). Spell Resistance: A Pixie gains SR equal to 11 + its CR. Deep Slumber: A Pixie swarm attack often causes creatures to fall asleep. Any living creature that begins its turn with a pixie swarm in its space must succeed on a DC 22 Will save or be affected as though by a deep slumber spell. The save DC is Charisma-based. Distraction: Any living creature vulnerable to the swarm’s damage that begins its turn with a swarm in its square is nauseated for 1 round; a DC 15 Fortitude save negates the effect. Even with a successful save, spellcasting or concentrating on spells within the area of a swarm requires a Concentration check (DC 20 + spell level). Using skills requiring patience and concentration requires a Concentration check (DC 20). The save DC is Constitution-based. Charm: The target must succeed on a Will save or be affected as though by a charm monster spell for 10 minutes. Memory Loss: The target must succeed on a Will save or be affected by a modify memory spell. Sleep: The target must succeed on a Will save or fall asleep for 5 minutes. Wild Empathy: This ability works like the druid’s wild empathy class feature, except that a pixie has a +4 racial bonus on the check. Replaces lucky, lesser. Woodland Stride: A Pixie can move through any sort of undergrowth (such as natural thorns, briars, overgrown areas, and similar terrain) at its normal speed and without taking damage or suffering any other impairment. Thorns, briars, and overgrown areas that have been magically manipulated to impede motion still affect it. Optionally, this ability may function in a different type of terrain, to allow the fey creature to move through, swamps, rocky areas, ice, and so forth. Whatever the choice, this ability only functions in one type of terrain. Replaces fey immunities. Spell-like Abilities: Pixie gain the at will spell-like ability (choose 1)– ghostsound dancing lights or minor image. 1/day (choose 2)–blink, chaos, confusion, cure light wounds, dazzle, entangle, hold person, illusion, fairy feast, mirror image, polymorph object or polymorph person. 1/week (choose 1)–blight, curse, grant wish, restore, magic item or reincarnate. These abilities are as the spell cast by a sorcerer of the Fey’s character level. Replaces fey powers. The Pixie swarm is meant to be NPCs but allowances can be made for high level/power games. Of course, an individual Pixie won’t have any swarm traits. Pixies are miniature fey that flit among the flowers. 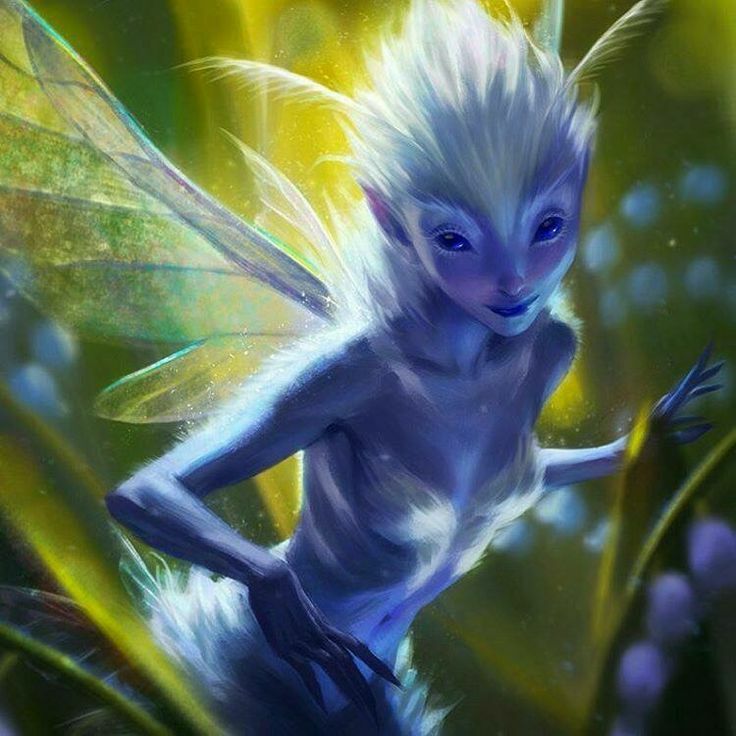 A single pixie looks like a miniature elf with translucent wings. They stand only a hand-span tall. They most commonly live in crystal, mud or woven hives depending on the type/tribe. Of course, the various tribes can differ in appearance, depending on the location and conditions. In combat a pixie swarm seeks to surround and attack any creature it perceives as a threat, especially one bearing an open flame or other obvious threat to its garden home. Swarm Traits: A swarm has no clear front or back and no discernible anatomy, so it is not subject to critical hits or flanking. A swarm comprising Fine or Diminutive creatures is immune to all weapon damage. A swarm is immune to any spell or effect that targets a specific number of creatures (including single-target spells such as disintegrate), with the exception of mind-affecting effects if the swarm has an intelligence score and a hive mind. A swarm takes a -10 penalty on saving throws against spells or effects that affect an area, such as many evocation spells or grenade-like weapons. If the area effect attack does not allow a saving throw, the swarm takes double damage instead. Swarms made up of Diminutive or Fine creatures are susceptible to high winds such as that created by a gust of wind spell. For purposes of determining the effects of wind on a swarm, treat the swarm as a creature of the same size as its constituent creatures. Wind effects deal 1d6 points of subdual damage to the swarm per spell level (or Hit Die of the originating creature, in the case of effects such as an air elemental’s whirlwind).